Unfortunately, beauty isn't everything. Durability matters just as much. Pfister combines both in the Pfister Pfirst Series of bathroom products. This family of products, designed for your kitchen, bathroom and laundry room combine style and function at every turn. 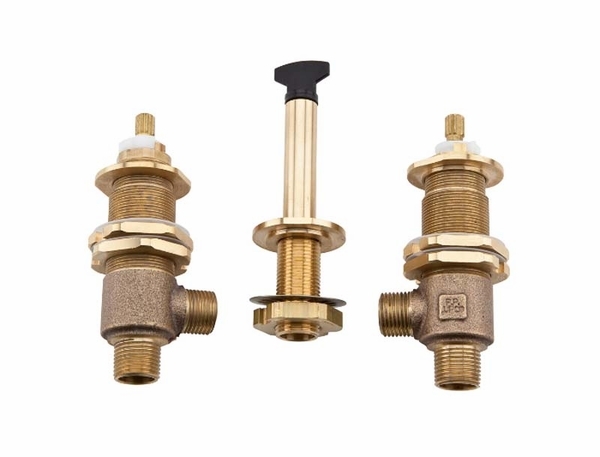 These Pfister Pfirst Roman Tub Rough-In Valves has a simple step by step installation in a three-hole setup. The coper connections are built to last and come with the Pfister Pforever Lifetime Warranty. Enjoy a well-built bathtub with the Roman bathtub valves and Pfister Pfirst accessories. Peace of mind comes from Pfister's long term career in creating bathroom accessories that are built to last.